If visiting a place, I like to, if possible, try beforehand to map out how it’s been represented in literature, film, etc. Ideally, one might arrive at the place with a mental map of its most compelling representations, characters, plots, along with, say, a geographic map, a transit map, etc. Sometimes reading everything can spoil a trip, though; sometimes, I read everything, then don’t ever go; sometimes, I work up an exhaustive reading list, and read little or none of it. But that’s a map also. There are many ways to travel. 1. Rheingold, Howard. Tools for Thought: The History and Future of Mind-Expanding Technology (1985, 2000). Amz $20.72. The digital revolution did not begin with the teenage millionaires of Silicon Valley, claims Howard Rheingold, but with such early intellectual giants as Charles Babbage, George Boole, and John von Neumann. In a highly engaging style, Rheingold tells the story of what he calls the patriarchs, pioneers, and infonauts of the computer, focusing in particular on such pioneers as J. C. R. Licklider, Doug Engelbart, Bob Taylor, and Alan Kay. Taking the reader step by step from nineteenth-century mathematics to contemporary computing, he introduces a fascinating collection of eccentrics, mavericks, geniuses, and visionaries. 2. William Gibson. All Tomorrow’s Parties (1999). All Tomorrow’s Parties is the final novel in the Bridge trilogy, following Virtual Light (1993) and Idoru (1996). “The San Francisco/Oakland Bay Bridge, the overarching setting of the trilogy, provides the trilogy’s name. It was abandoned in an earthquake and has become a massive shantytown and a site of improvised shelter. The original bridge exists within the old technological system of steel-based construction techniques. After the traumatic shock of the earthquake, which destabilizes both the literal bridge and the technological system of which it is a part, a new technological system emerges. Two representative examples of the new technology are the nanotechnology-based tunnel that replaces the bridge and the ad-hoc community built on the damaged bridge.” (Wikipedia). 3. Paulina Borsook. Cyberselfish: A Critical Romp through the Terribly Libertarian Culture of High Tech (2000). Amz $13.00. “Borsook, a former contributing editor at Wired, has a good vantage point from which to anatomize “high-tech’s default political culture of libertarianism.” Her examination of Wired’s early years shows a party line lauding technology and libertarianism, while the industry is actually full of “technolumpen” and “free agents” who rarely receive medical or retirement benefits from the companies for which they work. The emerging moguls she met favored bionomics, a Darwinian view of economic competition that manages to ignore the necessary role of government (which invented the Internet, she reminds us). Meanwhile, the “cypherpunk” privacy advocates she meets refuse to acknowledge countervailing government interest, maintaining “an angry adolescent’s view of all authority as the Pig Parent.” The private sector, she warns, can’t support fundamental research the way the government can. In her view, the people who tell her that “government interferes too much in our lives” suffer from a selective view of history. While I’m on the topic, incidentally, I’ll probably reread the classic, similarly-themed 1995 essay “The Californian Ideology” by Richard Barbrook and Andy Cameron. 4. John Shirley. City Come A-Walkin’ (1980). From a founding father of cyberpunk, (and Portlander! ), a work referred to by William Gibson as the “Protoplasmic Mother of all cyberpunk novels.” Set in a dystopian, chaotic San Francisco in which banking mafioso have displaced government, while the spirit of the City has generated a superhero emanation that mysteriously fights back. John Shirley (Wikipedia). 5. Richard K. Morgan. Altered Carbon (2002). Sci-Fi / noir set mostly in San Francisco 400 years into the future (now called Bay City). 6. Fritz Leiber. Our Lady of Darkness (1977). Amz $6.40. Latter-day Lovecraftiana set in San Francisco. I’m just hoping this will be deeply weird and psychogeographical. Horror writer Franz Westen, peering at his apartment window from atop a nearby hill, sees something lean out his window…and wave. Pulled into a vortex of urban paranormal forces, his quest leads him to the work of turn-of-the-century SF occultist Thibaut de Castries, whose seminal work, Megapolisomancy: A New Science of Cities, concerns the physical, psychological and paramental (spiritual) effects of certain substances, including steel, electricity, paper, and so forth as they accumulate in cities in certain alignments. “Megapolisomancy is the art of predicting and manipulating the future through the existence of large cities.” And saving yourself from the paramentals that lurk. I have apparently scored a copy of the pictured, 1978 mass-market edition, thanks to Powells.com. That’s 33 years in which this copy should have ripened to pure, crumbly, acrid-smelling pulp perfection. 7. John Miller, ed. San Francisco Stories: Great Writers on the City (1994). Amz $10.21. ok this one to cover my bases. We got some Ambrose Bierce, Mark Twain, Jack London, Kerouac, Amy Tan, Tom Wolfe, et al, et al. I’ve got a full-blown Bay Area bibliography underway, also, which I’ll put up once it’s further along. Meanwhile, I am diving in to my SF reading. I have already departed. Are teachers paid poorly, or well? How much does it cost the city to employ one policeman? Is that a good salary offer, or is it better to be a plumber? These are basic questions we encounter all the time, personally and in political debate. But it seems that people vary widely in their estimations and perceptions of who is paid what. For example, U.S. opinion appears to be highly polarized regarding the compensation of public-sector workers, and there doesn’t seem to even be much factual common ground in the discussion (as with other many another policy issue). So, in the typical wonk / librarian / nerd hope that better information will address the problem, and the lions will lie down with the lambs, I propose making an online tool to help this discussions. To be neutral, let’s just call it a Compensation/Cost Calculator, Public, or CCCP. I suspect that even a fairly simple calculator could be much more truthy than the vague, spurious claims that are tossed around in most political discussions. Just imagine a straightforward Web site, at which you can plug in values for a few or many variables describing a job or job field, and get an adjusted total-compensation figure. The point is that it can be a neutral, transparent model, so that anyone could analyze a job, or see and compare to others’ analyses of other jobs, using explicitly defined assumptions and formulae. Any calculation can be preserved and cited; someone could go back to it, challenge or tweak its assumptions. A particular configuration of the model can be applied to any new or prior set of inputs, so you could for example see how jobs compare when you make different assumptions about health-care costs or pension-fund rates of return. As compared to, say, comparing press releases from duelling lobbying, err advocacy groups, which are probably worse than useless. The basic idea here is taken from the “total compensation” estimates or calculators offered by many larger employers, which attempt to quantify the total value of employees’ wages/salary, benefits, vacation time, etc. A non-monetary benefit such as vacation time, for example, may be quantified by a device such as taking annual salary, dividing by paid work days, then multiplying this by number of vacation days — i.e. they are “paying” you for these days. (Contrived as that may be, it provides a way to quantify our common-sense intuition that, say, a job with twelve weeks of vacation is better than one with two weeks). However, unlike a employer’s calculator, our CCCP would be a general model, publicly available, with all inputs and assumptions transparent and modifiable. Also, it could offer reputable data to use for many of the inputs, such as typical salaries, health-care costs, inflation estimates. It could conceivably be linked to any relevant public data store such as public-sector salary records and Federal economic statistics, using Semantic Web / “linked data” methods (see http://linkeddata.org/). There might also be a database of prior analyses of real jobs, if you were curious to look at or model on, say, actual UAW contract terms from Detroit, or what we pay members of Congress. Perhaps if enough people got interested, you’d develop something of a global salary database, a more sophisticated version of the salary surveys that exist now. The present-day annual cost, or compensation, for such deferred retirement benefits would be the amount that an employer would have to invest this year to sufficiently contribute to future total retirement costs. This is a complicated calculation, but that’s why we have actuarials. Job stability (e.g. as expressed by % annual turnover of employees in this field). Most people value this, and you could propose a way to quantify it into total compensation. Long-term risks, e.g. of corporate or governmental bankruptcy curtailing promised retirement benefits. Our CCCP tool could be extensible so that anyone could add new factors to refine the model, for optional use by anyone else. a) compensation value to ME (factors such as your particular age may change calculations of, e.g. retirement benefits). b) compensation/cost on *average*, using inputs such as average worker age and salary. Incidentally, the implications of this may be various. For example, if teachers are shown to have relatively good compensation, then this might encourage more high-achieving students to pursue careers in teaching, which would be good for education. If teacher compensation is shown to be low, this might encourage increased funding, which might also be good for education. Some job fields, public or private, might be shown to have remarkable high or remarkably low compensation, and corrective action of any sort might ensue. Those beleaguered financiers and executives, for example — maybe they’d at last get some respect. But the CCCP takes no position. 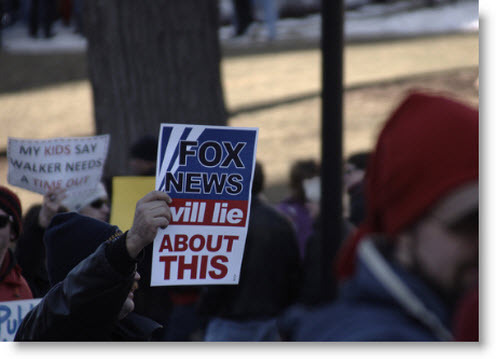 We merely favor truth. As usual, to this post I add the disclaimer that, this may have been already proposed and done, I’m not sure because this is a blog post and I haven’t, of course, done exhaustive research or even half the relevant reading from the “field”, whichever field that would be. It’s the Web, you know? Now, what if, at the start of the week, you had bought yourself a $10 Amazon gift certificate / voucher, a special one with the property that it is redeemable only if you complete your daily task every day that week? Would this work? How much might it change your behavior? Goal gift could be offered to any member of some group, to encourage a desired behavior such as school attendance or better grades (there are dedicated programs that do this now, but they are not generalized to allow any goal to be incented by anyone via an online system). Both sellers and buyers of goal gifts could have real profit incentives. Why is that? Because any non-trivial tasks would have less than 100% success rates; so a seller of task vouchers might profitably sell them at a discount from face value, as long as the price was higher than the average success rate. In turn, a buyer might “earn” money by having above-average success at tasks. E.g. a $10 voucher is offered at $9 for a task with an average success rate of 80%; seller makes $1 on average; buyer makes money if he can succeed at task > 90% of the time. For example, Lorcan Dempsey of OCLC recently highlighted several motivation frameworks which he described as examples of “gamification,” the application of game mechanics to non-game services and systems such as education or healthcare. Comment: requiring a credit-card to sign up is scary. Overall it sounds like a lot of punishment (Referees?). Keas.com is a startup co-founded by the former head of Google Health (now shuttered),which lets you set health goals, and then compete in teams for points and other rewards. Originally it was conceived as a service to help individuals manage health information, but after a few years of model evolution, it is now centered on “the power of [group] play” and is pitched to companies as an employee wellness system. Comment: competing with co-workers in teams, in order to lower your company’s healthcare costs, to me is creepy, sounds like Maoist social control via work unit. I probably wouldn’t be signing up. Lemon Tree seeks to increase the use of library resources through a social, game based elearning platform. Users will register with the system and be able to earn points and rewards for interacting with library resources, such as leaving comments and reviews of library books. Integration with other social networks such as Twitter and Facebook will be built into the system. This one I find a bit uncompelling because the goal is defined as increase the use of library resources — which is the goal of the library (the system designer), but not a goal of or necessarily beneficial to the library users. I said that Dempsey categorized these sites as “gamification” examples, but I’m not sure I quite agree. The problem is that the prevailing definition of “gamification,” as the application of game mechanics to non-game scenarios, is so vague as to include practically any interaction. Games use a huge range of mechanics (rules, features, rewards, etc.) — see the extensive catalog of them at http://gamification.org/wiki/Game_Mechanics — including just about any type of economic or psychological incentive you can imagine. I think it may be necessary to find a more precise definition, in order for the term to be analytically useful and not just a buzzword applied to any vaguely related initiative. Also, in order to not forget that many of these dynamics have long been used and studied in other contexts. So, what dimensions of “games” are not unique to games, or are widely understood under other terms? 1) incentives: setting up incentives is not, in itself, gamification. Amost everything we do in life is within a field of incentives, whether in terms or money, social capital, pleasure/pain, etc. There’s a universe of social science already established, which examines how incentives work in innumerable contexts, e.g. economic or psychological, and it would be unfortunate for that knowledge to be obscured by moving to a different, “gamification” vocabulary. Some interesting examples, from a social-reform standpoint, include initiatives to pay students for better grades in tthe U.S., (extensively researched by Roland Fryer at Harvard’s EdLab) or better attendance and medical habits, (done on a large scale in Mexico and Brazil). 2) “social” (e.g. peer support or peer motivation). Making something social doesn’t make it a game, nor vice versa. stikK, for example, has social aspects but very little game aspect. Most gamification commentary I’ve seen seems to forget that games have no need to be social — even the paradigmatic case of video games have always been predominantly played alone. One of the most famous of all behavior-changing systems, Alcoholics Anonymous, is very much social, but not gamelike. 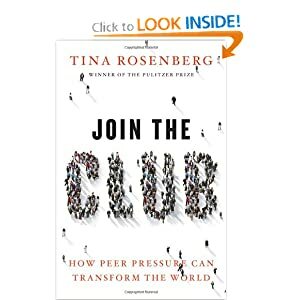 It’s about peer interaction; which, argues NYT reporter and Macarthur grant winner Tina Rosenberg in her recent Join the Club: How Peer Pressure Can Transform the World (2011, Amazon), is the key way to catalyze social investment and reform. This is a broad concept from economics, that might incorporate incentives or social structures, with the common denominator being ways to shape one’s own future action. A common example is when employees pre-commit to diverting any future pay raise into a retirement account. stikK.com is mainly a commitment-mechanism system, as reflected by the name of it’s central feature, the “Commitment Contract”. (reflecting the academic perspective of its founders..). This is when an individual or other party posts money (or collateral) as a guarantee they will complete some obligation. Wikipedia notes that such devices have existed since ancient Mesopotamia; common contemporary examples are “performance bonds” posted by filmmaking teams in independent productions, and “completion bonds” posted by contractors in construction projects. Surety bonds are incentives, and are loosely a type of commitment mechanism, except applied to a commitment to some other party, not to oneself. creation of a new intrinsic motivation source — e.g., you play because it’s fun, and incidentally it does something useful like help process email or fill out forms. continual feedback and progressing challenge, with careful calibration to ensure neither too easy/monotonous nor too difficult/unforseeable problems. a continually-unfolding problem, with new information released in stages (aka “cascading information”). progressive, visible, stable markers of attainment. yes, alas, badges and levels. Applying this to my own proposal, I’d say “goal gifts” are essentially a self-commitment mechanism, and barely gamelike. But they’re interesting for other reasons, such as the profit potential for buyers and sellers of tasks, as described above. a great article is “The purpose of gamification: A look at gamification’s applications and limitations.” by leading gamification expert Gabe Zichermann. see also the enlightening and extensive discussion in the comments, between Gabe, Kathy Sierra (of “Headfirst! books fame) and others. Also, more information at the Gamification Wiki.